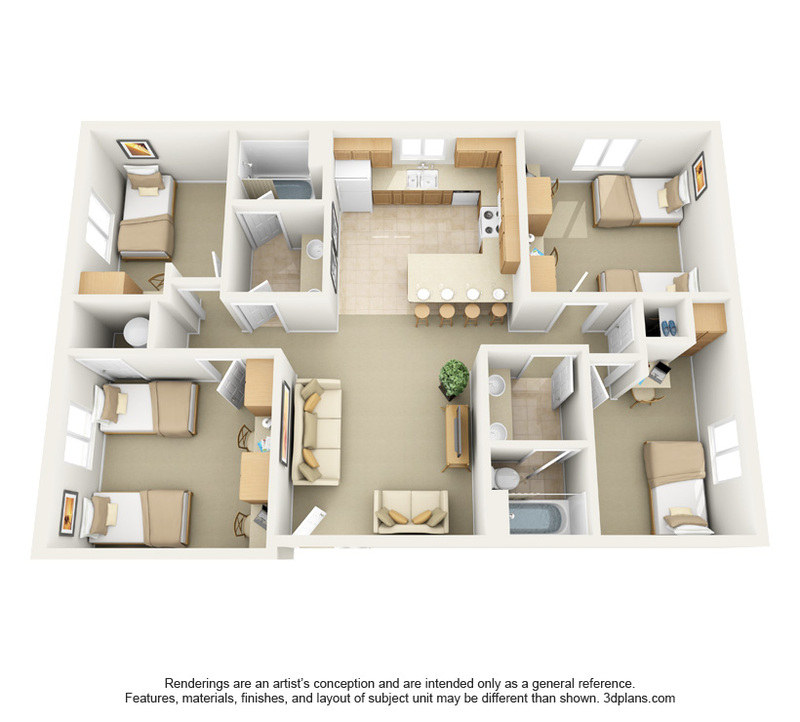 Village on the Parkway offers both Shared and Private bedrooms in beautiful Furnished apartments! Two shared and two private bedrooms with two bathrooms. Furnished with extra long twin beds, built in desk, desk chairs, closet, couch, and a love seat. Free fiber-optic internet and cable TV connections in each room. 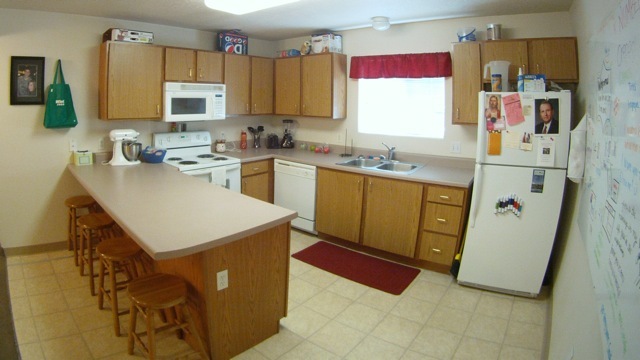 Full kitchen including a refrigerator, stove, microwave, sink with garbage disposal, serving bar, and stools.